It's hard to imagine what Microsoft and Turn 10 can possibly add to the Forza Motorsport series, but Shacknews went hands-on with Forza Motorsport 6's Career mode, nonetheless. And it was our first chance to check out night and wet weather racing, along with some new additions to the game's Career. Our hands-on preview. It hasn't been all that long since Microsoft and Turn 10 Studios helped bring the next generation of motorsport racing to a new generation of consoles. Forza Motorsport 5 launched on the Xbox One just a couple of years ago and it proved to be one of the best games in the console's launch library. So between that and Playground's Forza Horizon 2 last year, it's hard to imagine how much Turn 10 could improve between then and now. By the time Forza Motorsport 6 opens in Rio de Janeiro, it starts to become a little more clear. Turn 10 has put unparalleled effort into the game's environments, as well as into its most expansive lineup of cars to date. Many of those cars are entirely new to the series, evidenced by the 2016 Ford GT that this writer was driving for the game's introductory race along the Rio track. The opening three qualifying races only offer a small glimpse into what's improved in the latest Forza outing. The 1080p and 60fps of the previous Forza remained in place, as did the painstakingly-recreated locales. However, there was one noticeable difference in Yas Marina Corkscrew, the second qualifier. Everyone was suddenly racing under the lights, as night had fallen. Night is more than just an aesthetic change Forza Motorsport 6. Physics are also affected by the cooler temperatures, meaning the car's tires will have a lessened grip. Similar changes also occur when the weather is set to rain, as was the case in Sebring International Raceway. Rain is most noticeable in a first-person perspective, where the car's windshield wipers will actively be at work to help clear the driver's immediate vision. Moving the camera back to a third-person view will also see rain fall on the camera lens, just to something of a lesser extent. Again, though, the difference is in the physics. Turn 10 has traveled around the world, as well as performed intense research on rain patterns along the game's real-world track counterparts. Puddles will be accurately placed and when players drive over them, tires will hydroplane accurately, requiring a degree of compensation. This can be particularly tough to navigate around when it comes to playing with Drivatars, which will be updated with player driving habits from Forza Motorsport 5 and Forza Horizon 2. Because the Drivatars still behave like real-world drivers and less like AI, navigating turns in the rain can be slightly more difficult. However, there are ways to aid drivers. Of course, like real world drivers, they're also prone to make mistakes themselves. In one instance on the Alps track, a 1st place Drivatar had a commanding lead, but suddenly ate it by completely overshooting a hairpin turn. There are ways to help make driving a little bit easier. 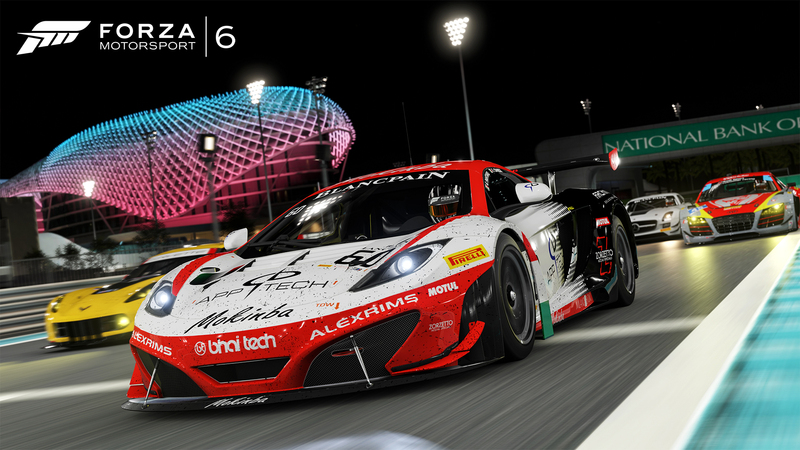 Forza Motorsport 6 will introduce the idea of mod packs. These can add some extra attributes, like extra grip or track-specific boosts. They'll also add some credit multipliers to help earn a little more for top finishes. Mods can either be a permanent fixture or one-time use only. Citing inspiration from Hearthstone, Turn 10 has randomized mod packs that can be opened to reveal mods of varying rarities. All of these mod packs can be purchased solely through in-game credits and are mainly intended for Career mode. Career mode looks to remain as varied as in past Forzas, starting players off with E class cars to get them used to the idea of driving. Cars are separated by division, like Compact Sport Coupes or Japanese Street Kings, to name a few. Looking through each category will offer some narrated background from automotive junkies like former Top Gear co-hosts Richard Hammond and James May. While each "volume" of Career mode will see players complete five or six races at a time, the pace will occasionally get mixed up by Showcase Events. These will occasionally pop up after a certain number of races or after reaching a certain Driver Level and task players with living out a historical event. 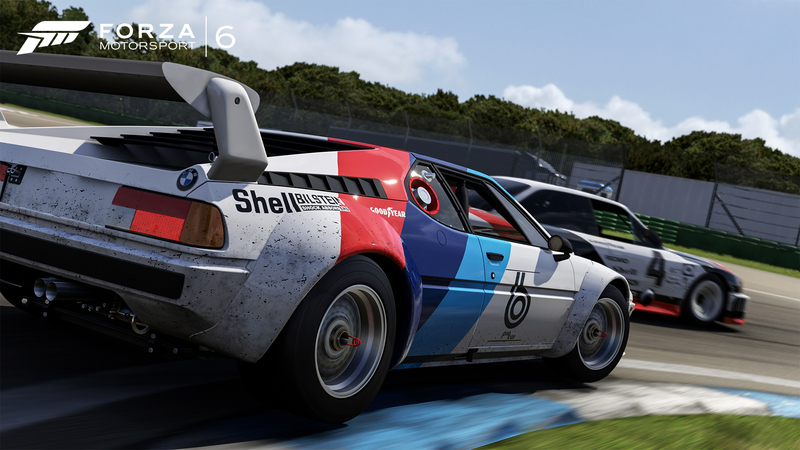 As for multiplayer racers, Forza Motorsport 6 will seek to offer something to players of all stripes. Turn 10 was surprised by a recent player survey that indicated that multiplayer mode racers were simply in it for the joy of driving and not for any competitive stakes. But for those that do have a hunger for more competitive racing, Forza Race Leagues are being added, along with a Spectator option. Shacknews was only able to check out the first hour or so of Forza Motorsport 6's Career, but Turn 10 is indicating that a full Career will run for over 70 hours. There are over 450 cars to unlock (all viewable through Forzavista) and all of them can be earned in-game, a step that the developer has taken after the backlash over microtransactions when Forza Motorsport 5 released a few years ago. In fact, Forza Motorsport 6 is adopting the slot machine reward system used in Forza Horizon 2 upon hitting a new Driver Level, with mod packs, cars, and credits all on the board. This writer's first spin landed on a Bugatti Veyron, valued at 1.1 million credits. Players will soon be able to get a taste of Forza Motorsport 6 for themselves, as the game's demo is set to release today. As I understood it, there is still a way to go with the rain. But great that it is included now. Thanks for the write up sounds good. Man I forgot the demo was out today, today is going to be a really good day.